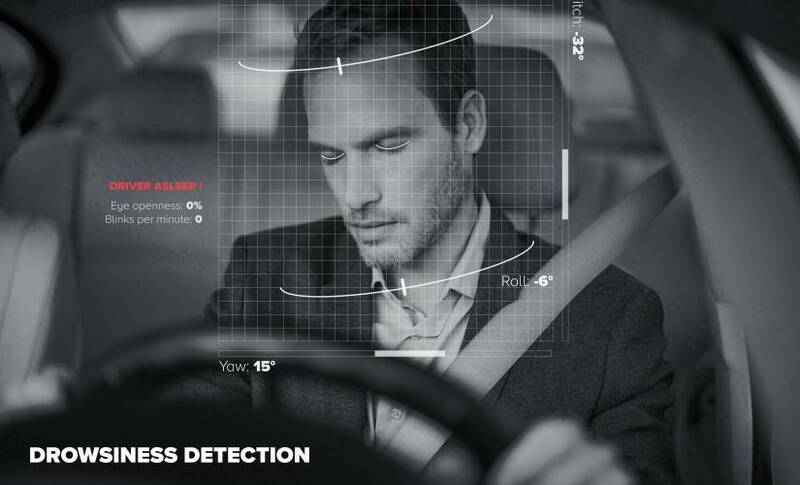 Jabil and eyeSight have announced a partnership to develop ‘next-generation’ driver monitoring and gesture control solutions for automotive customers. The monitoring technology checks the attentiveness of the driver in real-time, recognizing when they are not attentive or drowsy. In the video, the software alerts the driver through audio cues, although visual and sensory alerts could also be activated. eyeSight shows how the face monitoring could be used in self-driving cars, as a way to alert the driver before heading into a urban zone. It could also establish whether the driver is attentive before moving off the highway. This cautionary system is also used when the driver is drowsy, telling them to stop for a coffee break before a potential accident. It could automatically brake if the driver is not looking and a person is walking across the road. Additional functionality for marketers is shown in the video, where the facial recognition takes the gender and age of the driver and offers nearby businesses. eyeSight also wants to develop a ‘hands-free’ experience with gesture controls. A swipe to the right answers an incoming phone call, while a thumbs up approves one of the nearby businesses. The combined hardware and software efforts should lead to a developed set of tools for automakers, although, we are yet to know of any major automaker that is working with the companies.